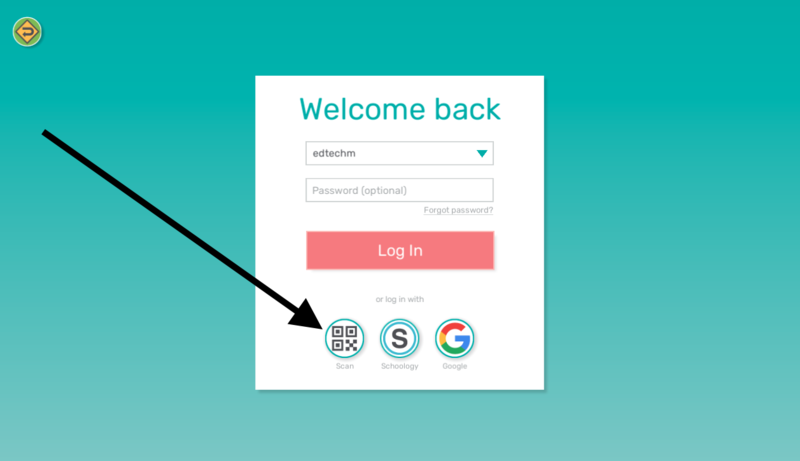 The QR Code is Ideal for younger students K-2 as it eliminates the step of students having to enter in a username and password. It also makes it easy on the teacher as the only thing they need to do is create a class and print the QR code. 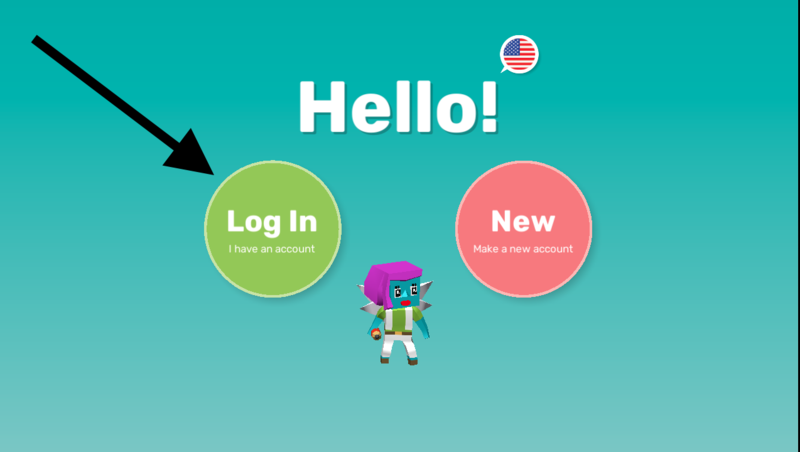 Important Note: When using this method, students will be able to see and login to each other accounts and also create multiple accounts. See the last "Step 6" below for image. This is usually ok for younger students but may be a problem for older ones. Click on the class you created and to the right you will see a tiny arrow, once you click that a drop down will appear, click Class QR Code. 4. Once you click on QR Code the QR code will pop up, print it. 7. It will automatically open up the camera to scan the Code. Once the camera gets activated position the QR Code Print out in front of the camera. 8. 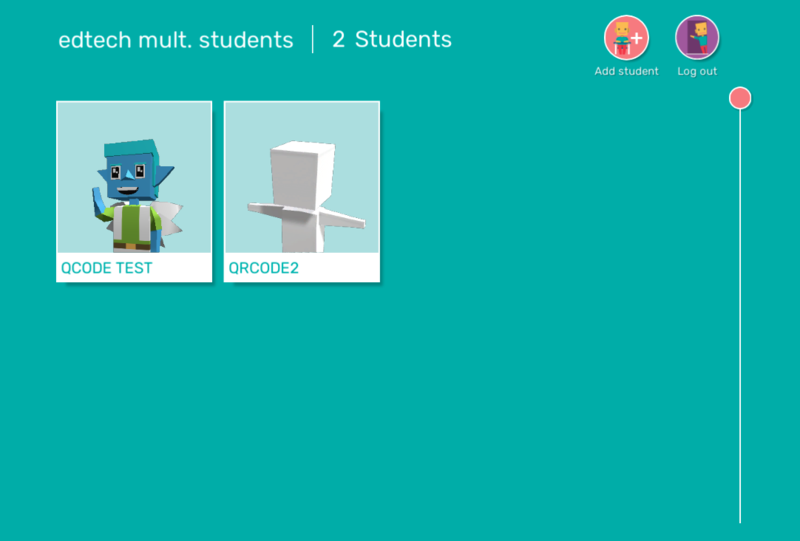 Then you will arrive at this screen, click "add student"
5. Enter students name, it will take you back to the add student screen. 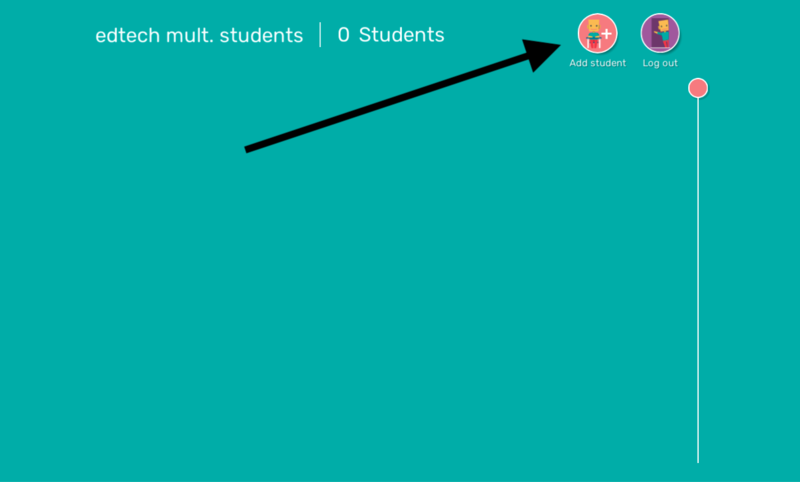 Add as many students as you'd like. 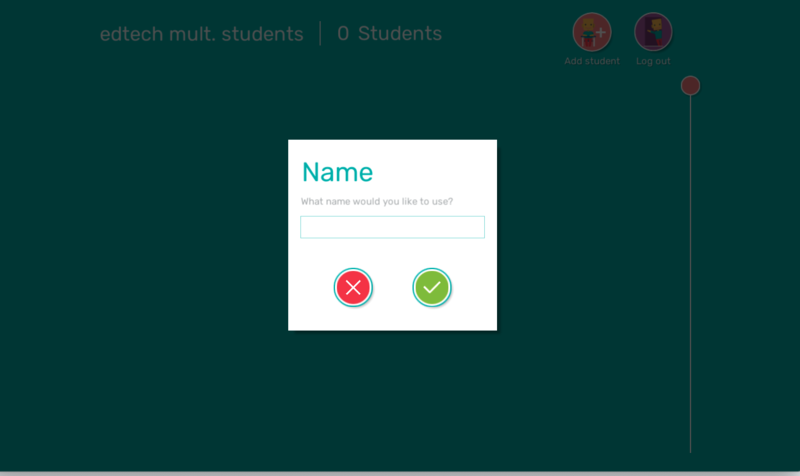 6) This is an example of what it will look like once accounts have been created and every time your student's login. 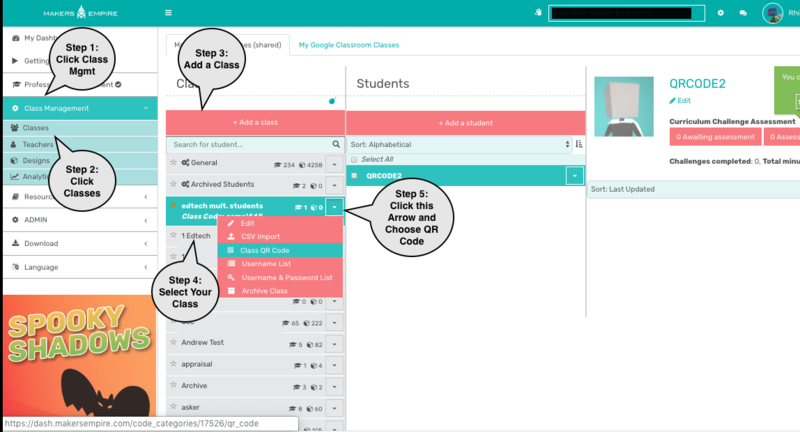 HOW STUDENTS LOG IN: Each time a student wants to login all they need to do is scan the QR Code. 2. Click Scan- It will automatically open up the camera to scan the Code. Once the camera gets activated, have your students position the QR Code Print out in front of the camera. 3. They will then click on their account.